In reading ‘the MoJ Story’, our statement of purpose, it’s striking how much of the work we do in the Ministry of Justice is operational. We enforce decisions of the court, we provide legal aid and we run the prison and probation system. The MoJ family is made up of 5 Executive Agencies and 32 Arm’s Length Bodies tasked with taking forward these and other essential operational roles, such as the Parole Board for England and Wales. In high-pressured operational environments, the impact of leaders, both good and bad, can be magnified very quickly. So the task of embedding the Leadership Statement within our delivery agencies is crucial and challenging. With a large number of staff managing demanding workloads, working at pace and not necessarily physically based together, the key question is how do leaders ensure they are inspiring, showing confidence and empowering everyone they manage? Leadership was the focus of our last conference for senior civil servants from across the MoJ family in April. This was a great opportunity for those in senior roles to think about how we’ll embed the behaviours in the Leadership Statement. All Senior Civil Service delegates from across the department and agencies made personal leadership pledges and are now putting them into action. 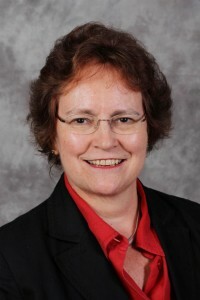 Communication has an important role to play in embedding the Leadership Statement. We’re linking the statement to the MoJ Story and trying to keep both of them real by, in turn, linking them back to the challenges we face in our jobs. Since February, there have been sustained communications to staff focusing on the MoJ Story behaviours, which include knowing what good leadership looks like and developing our leadership skills. Team case studies from across the department and agencies, illustrating these behaviours in action, are being shared regularly to inspire others. We’ve found that these stories, about what real people are doing, are the best way to help everyone understand where we’re heading as an organisation and what’s expected of us all to get there. Team and line managers are the most important group of communicators in reaching staff, so they have a crucial role to play in making the Leadership Statement a reality. For one, they need to role-model the behaviours so staff can see that the statement is not simply a collection of high-level messages from the centre. For another, they talk to their staff regularly and are the first port of call when someone has a question about the statement, and most other things for that matter. To support managers, we’ve developed a MoJ Story toolkit for them to use when they give their staff face-to-face briefings on the story and that highlights the story’s links to the Leadership Statement. The National Offender Management Service (NOMS), our largest agency, is currently undergoing significant change, including bringing the National Probation Service (NPS) into the Civil Service. 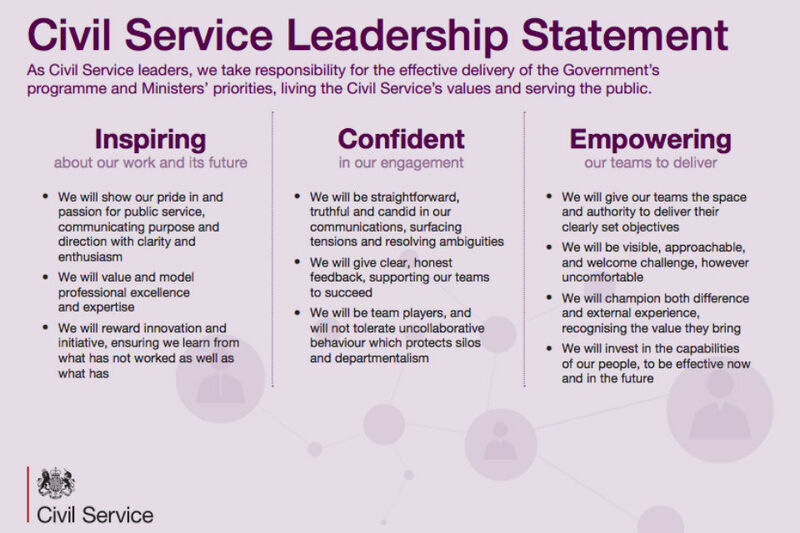 The Leadership Statement and the Civil Service Competencies have proved invaluable in helping leaders in the NPS understand what is expected of them, but also, in giving them confidence that their new colleagues in MoJ share the same public service values. This year, NOMS are running Leadership Masterclass sessions for leaders, drawing directly on the ‘Empowering’ characteristic in the Leadership Statement. Other NOMS work strands are making further links to the Leadership Statement, for example in work on staff engagement. Working on the frontline with offenders presents special challenges, but the need to engage and empower staff is the same for all leaders. Activity around the Leadership Statement is underway in headquarters, too. Our Corporate Services Group (CSG) has taken a range of actions, including a recent one-day event for all CSG leaders, focusing on what the statement means in an organisation delivering services to internal customers. They are about to launch a new development offer for all their leaders. We will keep on finding new ways to embed the Leadership Statement, because we cannot have well-run public services without good leaders. It is part of the objective setting and appraisal process for 2015/16 and we’ll also look to include questions on the Leadership Statement as part of the People Survey in October, so we can seek everyone’s views on it to help inform the way ahead. Inspirational leaders - nature or nurture? ... the challenge will be making sure everybody points in the same direction whilst being agile enough to change direction if necessary! In fact we've got a new scheduled for next week from the COTT team. Hmm interesting...I have just tried both links and neither work as they both show 'Sorry, but the page you were trying to view does not exist'. John appears to be correct & the 'Blog Team' need to do a little bit more work!!!! Unsurprisingly, my comment on the new technology went down the memory hole after being initially published. Until you listen to colleagues you will get nowhere. Part of being a good leader is to recognise and value the opinions of others and to foster an environment in which people can air those opinions; isn't it an awful shame therefore that the Civil Service news blocks comments that do not fit it's view point. We're more than happy for people to leave comments here, as long they conform to the moderation guidelines. These guidelines do not rule out criticism as long as it is constructive. Well clearly you are not aware of your own policy or how it is being implemented or skewed to fit a particular news item. Hi Ursula - really good article. I am interested in using case studies to illusrate behaviours - would you be able to share some examples of the ones you have used in MoJ?